MONEY SAVING MOMMA IN NNJ: WOW!!!! Amazon: Stainless Steel Crock-Pot $12.99 Shipped! WOW!!!! 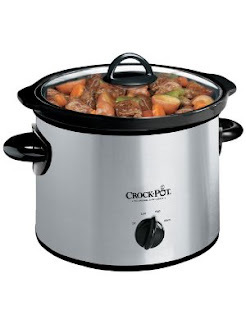 Amazon: Stainless Steel Crock-Pot $12.99 Shipped! This is great to have during the winter months. Stop by Amazon.com for this Crock-Pot SCR300SS 3-Quart Round Manual Slow Cooker, Stainless Steel for only $12.99 and FREE shipping with Amazon Prime (regularly $24.99).